We have a truly global network of consultants, all of whom are very experienced corporate professionals. Each consultant has been selected on their track record of leading and delivering change projects as well as their passion for supporting and enabling others. Our consultants engage and support our clients with their unique area of expertise and local knowledge. From 1999 to 2008 Pieter held the positions of Global Category Manager as well as Regional Procurement Manager for Africa and Middle East at British American Tobacco. During this time he also participated in several global cross functional projects where his inputs added much value in the development of global supply chain strategies. Pieter was a key figure in the global material complexity reduction process in British American Tobacco which resulted in millions of savings and smoother operations. He also served as mentor for the supply chain graduate trainees at the head office in the UK. 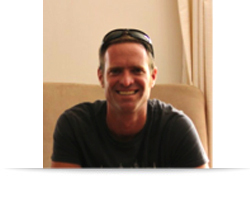 Since 2008 Pieter has been working as a freelance Procurement specialist. 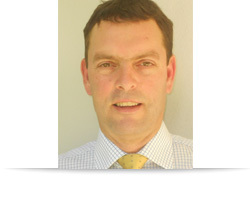 As qualified paper engineer (MSc in wood and paper science) Pieter also consults on paper and packaging related topics. 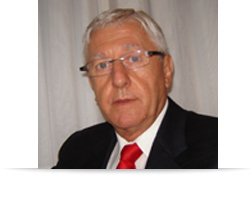 Pieter has a strong technical background and therefore understands production processes and its demands. His calm approach and analysis of situations ads to his management style which brings out the best in those around him. James supports emerging and established leaders in business and the professions develop the competencies they need to thrive in a changing world. 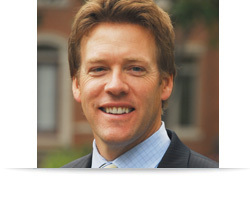 He helps his clients become outstanding performers and have a positive impact on the communities they serve. James came to this work from a professional background. He practiced for 10 years as an employment law Barrister in the UK, first at a leading set of chambers and then at a niche litigation firm. He also has experience as a company director, leading him to pioneer an innovative approach to dispute resolution in the workplace. 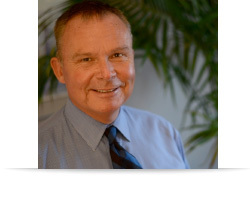 James is an Associate Certified Coach with the International Coach Federation and a Certified Integral Development Coach through New Ventures West. Adheesh has consulted in the IT and Economics field for the past 4 years across multiple industries including Financial Services, Logistics, Research, Human Resource Management and Healthcare Information Systems. Prior to this he worked for 7 years at British American Tobacco starting out as an IT Management Trainee in South Africa and concluding as the Marketing Information Manager for the Gulf Region. He is currently reading towards his PhD at the University of the Western Cape investigating the Total Economic Value of Business Intelligence in Corporate and SMME Environments. His key achievements include the investigation of DataWarehousing for BATSA, the implementation of a robust Demand Planning process and management reporting processes for the Mid East, building and implementing a business case for Cash Demand and Supply Management and successfully implementing an international supply chain process for a multinational retailer. Adheesh is known for his analytical mind and relationship management skills. From 1999 to 2012, David served in a variety of senior level roles within Imperial Tobacco Canada including Strategic Planner, Group Brand Manager of Value for Money, Director of Strategy and Planning and, most recently, Director of Commercial Insights and Pricing. 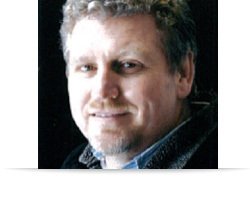 Following that he has worked as a marketing consultant in the Canadian market. His key achievements included Brand portfolio development resulting in both share leadership and improved profitability with the Value for Money segment in a price war environment; driving and embedding an improved integrated Planning process as well as the delivery of these Plans to market to drive focused investment and share growth; developing best in class pricing strategies, processes and capabilities that drove profitable share growth and industry leadership. David is an effective people motivator and change agent who consistently exceeds business goals with a hands-on coaching and mentoring leadership style. 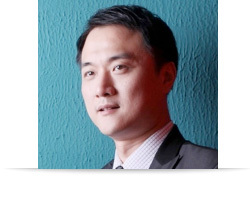 With more than 20 years extensive experiences in sales, commercial, general management in FMCG industry in greater China area, Hao is a mature marketer and rounded business leader. Over the last 21 years, Hao has taken on various sales, brand, business development and general management roles mainly in China, Hong Kong and Macau, and in Canada as well. Hao was also deeply involved in a major strategic joint venture negotiation and implementation between a multi-national company with a Chinese state-own enterprise. 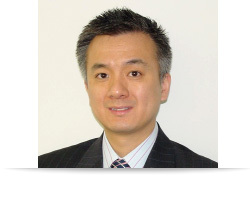 Hao started his marketing career at Proctor & Gamble in 1992 in China. He then joined British American Tobacco China in the end of 1996 and went on to work for BAT for nearly 18 years; his most recent two roles being Head of China Operation, and GM – China, HK and Macau. Hao has a proven track record of strategic business leadership, people leadership with strong multi-level stakeholders management and negotiation skills. Hao is most valued in business development & transformation, distribution & route-to-market and delivering the business growth in a complex business environment. Hao is approachable, honest and energetic. He is married with 2 lovely boys living in Hong Kong. Neal spent 27 years in the tobacco industry within Manufacturing and Trade Marketing as Production Manager, National Supply Chain Manager (primary and secondary Supply Chain) in South Africa). Neal also worked Internationally with the Regional Supply Chain team for Africa and the Middle East, responsible for product sourcing and planning. Neal has wide Project Management exposure (using Prince II), most recently having been project manager for a major Direct to Stores Sales implementation in South Africa. His key achievements include project managing and implementing a Direct Store Sales Model in South Africa, successfully managing the source of manufacture change of significant volumes of product Africa and the Middle East, successfully managing the Supply Chain function to deliver OTIF numbers in excess of 99%, building a comprehensive business continuity strategy and developing best practice relationships with international 3PL service providers. Neal is most valued for his people leadership and team development skills through leading by example and using the strength and diversity of the team members to deliver business results. From 2003 to 2010, Richard served as Global Distribution Development Manager, European Head of Business Development and Head of Trade Marketing (UK) for British American Tobacco in London. 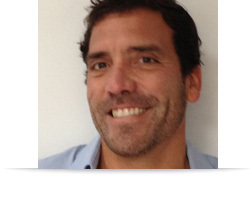 After that time, Richard worked as a marketing consultant in Europe and the USA. His key achievements include: as a member of the BAT UK&I top team: the Trade Marketing restructuring and contributions to the financial turnaround of British American Tobacco UK Operation; as a member of the Global Trade Marketing Team at BAT: Secondary Supply Chain and Route to Market re-engineering to deliver profitable growth to the business (Germany, Belgium, Venezuela), Global Trade Margins Strategy development and regional business unit implementation to drive performance and deliver profits, Global Sales & Distribution blue print development and the development and implementation of Demand Forecasting best practice. Richard is most valued for his strategic thinking, professionalism, motivation, commitment to delivering results, engaging style and warm personality. 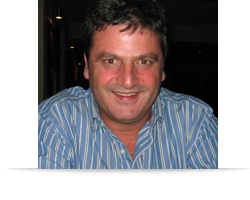 Jan has 23 years experience in Operations and Marketing in the FMCG field. He spent 7 years in Operations and 16 years in Marketing within Rothmans- and British American Tobacco. During this period he was exposed to other markets i.e. Southern-, Eastern Africa and Latin America. 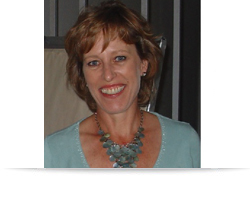 Jan left the corporate environment in 2010 and has since worked as a consultant in South Africa. He has mostly assists FMCG and Renewable Energy clients in branding, trade marketing and supply chain. From 2008 to 2010 he served as Country Manager : East Africa and was responsible for delivering sustainable business results for BAT in Kenya, Uganda, Rwanda and Tanzania. Other achievements include the re-engineering of the business models, trade marketing and distribution strategies and supply chain strategies. Jan brings a wealth of FMCG experience to the team and is most valued for his energetic-, pragmatic- and engaging style. Darrell has gained global experience in the tobacco industry as a recognised Trade Marketing Execution professional. As a Global Trade Marketing Execution expert based in Sao Paulo, Brazil Darrell was responsible for driving business requirements for local markets in the development of a global CRM solution reflecting global best practices. Darrell’s experience also includes many years in the Canadian tobacco industry managing the changes to dark market and adapting route-to-market for more effective trade marketing. He has a strong background in sales force planning to deploy resources effectively and efficiently through market segmentation and business processes. Darrell has a proven track record in problem-solving with a strong ability to drive decisions and simplify complicated problems. He has a solid appreciation in balancing business needs with technological requirements. Darrell is known for his honest, down-to-earth and energetic approach. Expertise: Sales, Trade Marketing, Distribution and Web Marketing. Allan Junior built a corporate career at Fritolay (a subsidiary of the Pepsi Group) and British American Tobacco/Souza Cruz in Brazil. In a career that spanned 15 years, he held positions as Trade Marketing and Distribution Manager and went on to serve on 2 Boards and work and live in four countries. 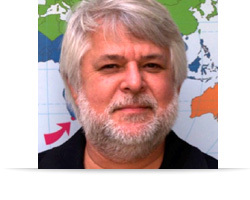 Most notably, Allan Junior was a team or lead member of ‘route to market’ projects across three countries: Brazil, Thailand and Canada, and significant change projects in trade marketing in Brazil. In more recent years, Allan Junior has worked as an independent consultant. He is mostly assisting corporations to effectively optimise their route to market business dynamics and web marketing projects. Allan Junior holds a degree in Business Administration and an MBA in Marketing. Clients appreciate him for his transparency, objectivity and capacity to keep strategies and executions focused and for his energetic and ‘go for it’ style. 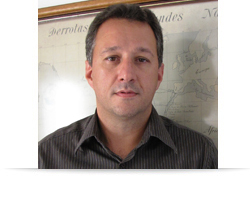 (1977-2010) TM&D (Souza Cruz/ BAT Americas), Development and implementation manager of sales and distribution processes and systems, manager of the Joint Distribution project. 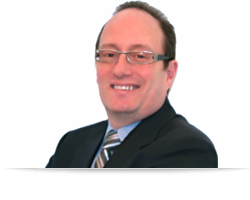 (2011- current) Independent Consultant (last 18 months in consulting Galeazzi & Associates). Well rounded TM&D senior expert, with expertise in sales and logistics. Experience in demand and operations planning focused in synergies identification, reducing operating costs and maximising the level of service provided to customers. Experience in coordination and implementation of new projects (ERP, Joint Distribution), in development and implementation of processes and operating systems for sales and distribution. Project member representing the TM&D area: integrated cost control, budgets review, as well as Integrated Strategic Planning. Energetic and dynamic, in constant pursuit of overcoming dificulties, finding opportunities through realistic diagnostics, achievable plans, excel in execution in order to deliver the targeted results. Experience in change management, and cross functional leadership. Expertise: Stakeholder Management, Public Relations (External, Internal Communication), Project Management. 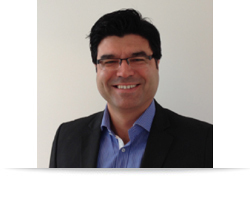 From 2005 to 2011, Tomas served in the following roles for British American Tobacco: Head of Regulation (Eastern Europe), Area Head of CSR and Communication (Germany), Western Europe Regulation Manager (Brussels), Head of Corporate Affairs (Czech Republic). In 2007-2008, he took leave to serve as the Czech Government Envoy for Missile Defense reporting to the Prime Minister in Prague. 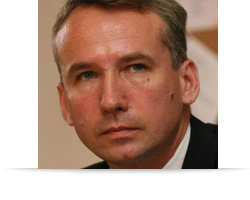 Prior, in 2003, Tomas was the Press Spokesman and Policy Adviser to the President of the Czech Republic. Among his key achievements are developing a rapid response crisis communication for Central Europe, developing a risk assessment and mitigation approach in stakeholder management for Eastern Europe, setting up the Aspen Institute’s Prague Branch and managing a successful senate campaign for Prince Karel Schwarzenberg. Tomas is valued for his ability to combine management and networking skills with strategic and intellectual depth. From 1996 to 2009, Alia served as Head of Strategy and Planning for South East Europe, Head of Business Information for East Europe, Head of Marketing Information and Planning, Poland, Russia, East Europe in British American Tobacco. Prior to that she worked as a General Manager for CIS in MEMRB - an international marketing research agency - setting up and running the business. After leaving British American Tobacco, Alia was engaged in running private business projects in Russia and Spain. Her key achievements include a Strategy and Resource Allocation project for 11 countries in South East Europe; start up, development and coordination of Anti Illicit Trade research program for Europe; creation of International Price Management training, launching new business functions in several markets - Knowledge management, Project/Program Office. Alia is most valued for creating high performance teams, driving business results, leading cross-functional multi-country projects, and for her open, positive and enthusiastic approach. In a career spanning 25 years, Osmar took on a great variety challenges, having held positions in accounting, auditing, manufacturing, quality systems and having specialised in sales and distribution for 13 years in Souza Cruz, Brasil. In this latter period, he was a key member of several projects as manager of sales, distribution and merchandising: developing programmes for systems sales; trade visit productivity; customer base expansion and planning, optimisation and safety of direct distribution routes. Osmar developed and trained field forces on teamwork, communication and negotiation. His international experience includes a route to market project in Canada and a field force and distributors audit in Russia and Paraguay. Recently, Osmar has worked as an independent consultant, developer and instructor in sales training for companies such as Brasil Foods, TIM, Panasonic, Coca Cola and Nissin. Osmar is Brazilian, graduated in Economics from the State University of Rio de Janeiro, MBA in Business Logistics from Fundação Getúlio Vargas-RJ and Business Management Programme from Fundação Dom Cabral-Souza Cruz. Expertise: Marketing Strategy, Business Re-engineering, Anti-illicit Trade Specialist. Yashaq was a key strategist in the exponential profit growth of British American Tobacco (BAT) Peru. This result was based on the combination of portfolio strategy, brand identity rejuvenation, smart packaging & pricing, trade engagement platform, trade margins optimisation, direct distribution optimisation and stakeholder engagement. 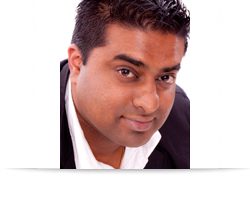 In 2006, Yashaq was invited to join BAT key win markets such as South Korea (Brand Marketing), the Americas regional Office in Brazil (Brand Marketing). His last assignment for BAT was in Turkey as part of the team re-organizing the business after the TEKEL acquisition. Since 2012, Yashaq partnered with the founders of a Retail-Action Sports company: Black Sheep - Peru (BSP). BSP is a young business looking for smart-growth in the Peru Fashion-Retail battlefield through delivering exciting brand/products experience and a fair deal for all parties involved. Today BSP’s brand portfolio includes high potential brands like Skullcandy, Neff and Stance. BSP is working closely with corporations such as Samsung, Claro, Saga-Fallabela and Cencosud (Almacenes Paris). Yashaq is valued as a creative, results driven strategist with expertise in a winning business model driven by innovation and simple solutions that better satisfy consumers and stakeholders. From 1999 to 2009, Peter held a variety of diverse Director Level positions across all Marketing disciplines at Imperial Tobacco Canada. Since then, he has been guiding and supporting organisations in developing Conscious Leaders, through Executive Coaching and Team Transformation, as well as working as a Marketing consultant throughout North America. 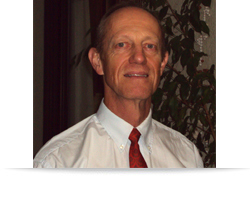 He is a Certified Integral Coach (New Ventures West) and a Certified Enneagram Teacher (Enneagram Institute). Peter is most appreciated for his groundedness and his ability to energise and engage people. His clients – and his colleagues – appreciate his irreverent sense of humour, as well as his ability to get straight to the heart of the matter and say what needs to be said. From 1994 to 2000, Marilia worked initially as an Internal auditor, and builds a career as Finance Planner, Finance Controller of Human Resources and Information Technology departments of Souza Cruz S.A. a subsidiary of the British American Tobacco Group in Brazil. She previously was a Management Trainee of IBM Brazil. She lived abroad for almost twelve years following her husband’s assignment to seven different countries, as Brazil, Uruguay, Hungary, Honk Kong, China, Canada and South Africa. During this time she worked as part time independent consultant on Finance Planning and new Business Development mainly in China. She also attended post graduation activities in Honk Kong and Canada focused in languages, Italian, English and Mandarin (beginner). She holds a degree in Economics and post graduation in Information Technology and Architecture – Interior Design. Marilia is most valued for her down-to-earth approach, clarity and engaging style. Expertise: Stakeholder Engagement, Sustainability, Communications. Karin is a proven leader in stakeholder engagement, communications and sustainability with 15 years’ experience gained in senior positions in a global top 10 FTSE company. She has run extensive board level stakeholder engagement programmes around controversial issues. This involved all process stages: early stage planning, horizon scanning, stakeholder and issues mapping, risk assessment and management, in house training, stakeholder engagement sessions, assessment of the outcomes, implementation, communication and reporting. The programmes engaged a variety of stakeholders such as regulators, NGOs and the scientific community. She also worked on internal change programmes, and was responsible for the change communications workstream in a Europe wide restructuring programme, affecting 10,000 employees in 30 markets, resulting in above market aggregation of core capabilities and a 10% reduction in staff numbers. Karin’s personal style is pragmatic, personable and collaborative with a strong focus on measurable outcomes. She knows how to work effectively at all levels of an organisation and across many different cultures. She holds a master’s degree in business from Goettingen University (Germany) and is a member of the Institute of Corporate Responsibility and Sustainability (ICRS) the Chartered Institute of Public Relations (CIPR) and the International Coach Federation (ICF). Karin is bilingual, speaking English and German. The core of Marc’s career covers the past 15 years at British American Tobacco in South Africa and 2 years in Turkey as Group Brand Manager, accounting for 98% of the BAT business in Turkey. Marc has fulfilled a range of Strategic and Operational Marketing roles with an emphasis in Brand Marketing, primarily responsible for defining the Strategic direction of Brands and ensuring Campaign development and implementation to deliver increased Brand Health, Market Share growth and Profitability. 1)	Managed 2 x Brand Migration Strategies. 2)	Lead the Strategic identification and implementation of a range of Brand launches, Product improvement initiatives and Line extensions. 3)	Defined Brand Prioritisation Strategies within the Portfolio and lead the corresponding Brand Re-positioning. Marc is well known for his energetic and passionate approach, he is a highly motivated individual who leads himself and his team to deliver high quality results. Antonio Pereira built a 30 years international career at British American Tobacco (BAT) in Senior Executive roles as Director, Country Manager and General Manager. He lived and worked in 50 different countries around the world: Central America, Cuba, Russia and the Middle East to perform strategic functions. His last positions were Trade Marketing and Distribution Director and Country/General Manager in two different countries. Before BAT, he built experience in Retail, Financial Services and Soft Drinks Distribution. For the last 3 years Antonio has worked as an entrepreneur developing and opening franchises in the health, beauty and education sectors. 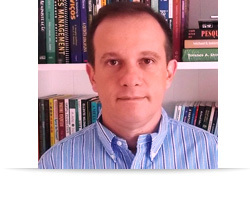 He has graduated in Business Administration and has a post graduate degree in Economics from PUC (Pontificia Universidade Catolica – Brazil) and an Executive MBA from Coppead-UFRJ (Universidade Federal do Rio de Janeiro – Brazil). 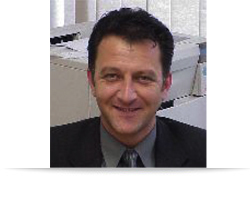 Anthimos has been a Senior Manager in Marketing in British American Tobacco (BAT) as well as a Senior member of the Management Top Team with over 15 years of experience in an international Fast Moving Consumer Goods Company. He went through various management roles in Sales, Distribution, Trade Marketing and Supply Chain. Proven successful ability to play multiple roles with a rounded understanding of business challenges, opportunities and key strategic risks. Broad range of analytical, problem solving, creative, leadership skills as well as project management skills. Substantial experience in organizational restructuring, negotiation with key suppliers, customers and Trade Unions. Skilled in managing effectively marketing staff and budgets. He is hard working and focused on delivering results and meeting objectives effectively. Expertise: Corporate Strategy, Marketing Strategy, Portfolio Management, Trade & Shopper Marketing, Supply Chain and Distribution. A senior global marketing professional with years of experience in a broad range of Marketing roles, across Australasia, Europe, Latin America and Asia at local, regional and global levels. From 2008 to 2012 worked as Marketing Director for British American Tobacco, Australasia. Next as Regional Head of Sales & Trade Marketing for the Americas region. Proven track record of delivering outstanding results. Capacity to build stakeholder confidence and to drive alignment to achieve business objectives. 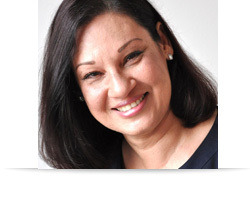 Irma Smit has more than 25 years of experience in FMCG and Retail. She has worked in large global, multinational and South African Companies. These include British American Tobacco, Anglo-Vaal Industries (National Brands) and Woolworths SA (Retail). As a SME (Subject Matter Expert) in Demand Forecasting, Irma was deeply involved in major change initiatives in Africa, Middle East and Eastern Europe, including significant changes in supply chain models and re-engineering of business processes. Irma is a graduate from University of Stellenbosch South Africa, with majors in Mathematics and Mathematical Statistics. In addition Irma holds a certificate in PPIM (Principles of Production and Inventory Management) from SAPICS. Ann has over 20 years’ experience in Corporate Communications with a proven track record of delivering results at global, regional and country levels. She worked with British American Tobacco from 1996-2012 - as Press Relations Officer engaging with journalists on challenging business issues, followed by Regional Operations Communications Manager for Europe and Global Operations CSR & Communications Manager. Key achievements include capability building in cross-market networks and driving strategic communication across the Communications and External Relations function. 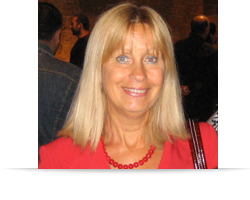 Ann previously worked in Trading, Travel, Shipping, Community Development and Advertising. She was a Founder Member of Bates Strategic Alliance, Sri Lanka. As Public Relations Director, she set up Bates’ PR arm delivering successful campaigns and reputation management for blue chip organisations. 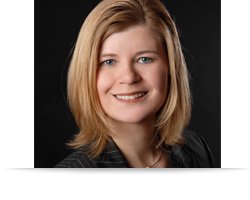 She was also Account Director, Business Development Director and Company Director at Bates. Ann is results-driven, engages effectively at all levels and can deliver innovative, sustainable communications in culturally diverse, matrix-style organisations. Expertise: IT Strategy and Implementation, Shared Services, Merger/Acquisition Integration. Senior Management professional with a passion for building business value, delivering consistent results, encompassing IT as well as general business areas. Implemented IT Infrastructure standardisation that became a global initiative. Defined the standards for ERP implementations and delivered SAP worldwide. Developed the case and strategy for Global IT Services, and implemented in several services globally. Developed the business case and supported implementation of a Shared Services Centre for HR, Accounts Payable, Telesales, IT and Customer Services. Substituted telecoms network and providers (including data, voice and mobile) reducing 50% of cost and increasing reliability. Implemented common IT Processes for all Americas End-markets. Proven ability to develop and manage high performing teams. Cultural awareness and language skills (Portuguese, English, German and Spanish). 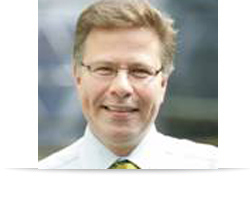 From 2006 to 2010 Andreas was Area Director for Corporate and Regulatory Affairs for British American Tobacco Australasia. 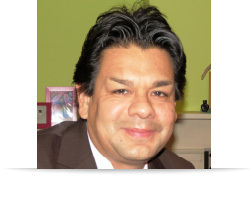 Andreas has since established a global executive coaching business, and a child-focussed NGO. He was Director, Corporate and Regulatory Affairs in Germany, Austria and Denmark, after successfully leading BAT’s $4bn privatisation bid for the Italian Tobacco Monopoly from 2001 to 2004. 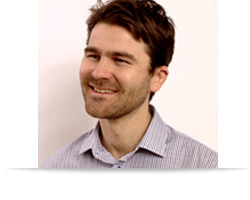 Andreas has been an Australian diplomat and foreign policy adviser to two Prime Ministers. He has been GM for a major Asia-Pacific consulting firm. Key achievements include driving cutting-edge government engagement and public policy solutions for BAT globally, against heavy anti-tobacco pressure from Governments. He initiated and championed 21st century CSR policies within the BAT Group. s a diplomat, Andreas built hundreds of new relationships in sensitive human and labour rights matters in Indonesia. Andreas is an engaging, creative problem solver, with a reputation for challenging thinking and being highly strategic. 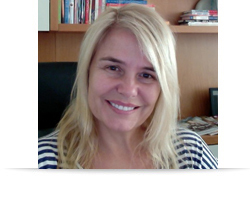 Charl is an Industrial and Organisation psychologist and practices as a certified professional coach. He has spent more than 30 years working in the corporate environment within the Human Resources field. His career commenced in the transport industry working for South African Airways after which he entered the financial industry. He spent nine years in Banking and after leaving ABSA, he joined British American Tobacco South Africa. 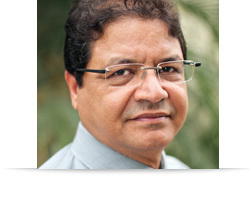 He has developed his career in leadership and management development, people assessment and organisation development. Over his career span, he held senior management positions where his roles and responsibilities ranged from Head of Organisation and Management Development to Head of Regional Leadership Development in Africa. For 11 years at Souza Cruz, a subsidiary of British American Tobacco in Brazil, Daniel held several management positions in Trade Marketing & Distribution, working on different distribution systems and leading some important TM&D projects such as the distribution of new product categories and the expansion of the direct distribution system. In 2009 he was part of the team analysing the operational fit between the new BAT global CRM solution and the local operations, refining and adjusting the TM&D processes to guarantee the best performance, including financial impacts evaluation. Daniel has great merchandising experience as well, having been a Merchandising Development Manager, guaranteeing the highest quality in brand materials and evaluating new ways to reach the consumer in-store while reducing cost. For the last 2 years, Daniel was the responsible for the marketing department of the Brazilian #1 private hospitals administrator, developing strategies and communication plans, including press relations, offline and online communication. Daniel is most valued for his motivation, commitment to delivering results and down-to-earth approach. 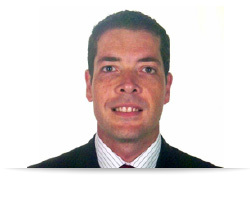 He graduated in Business Administration and has an Executive MBA Marketing from IBMEC/RJ– Brazil. During his 13 years at British American Tobacco (BAT), starting as a management trainee, Adam held various management positions in Brand Marketing, Trade Marketing, Project Management and Commercial Engagement, mainly in domestic China, but also in Hong Kong and Australia. Adam has a proven track record of fulfilling multiple roles with a broad range of strategic thinking, creative problem solving, negotiation, project management, and stakeholder engagement skills. Adam is most valued for delivering business results, leading cross-functional projects, adapting quickly to new challenges and for his honest and energetic approach.